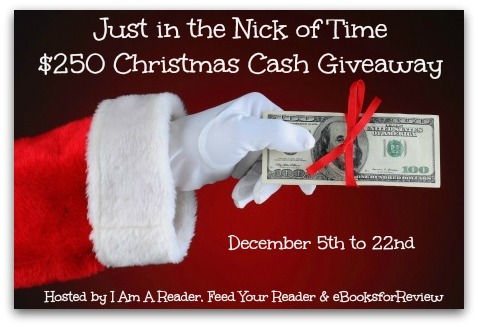 Writerly Ramblings: Want to win Christmas cash?? Want to win Christmas cash?? Just in the Nick of Time! There's $250 up for grabs in PayPal cash of an Amazon gift card. Many chances to enter to increase your odds! Good luck!